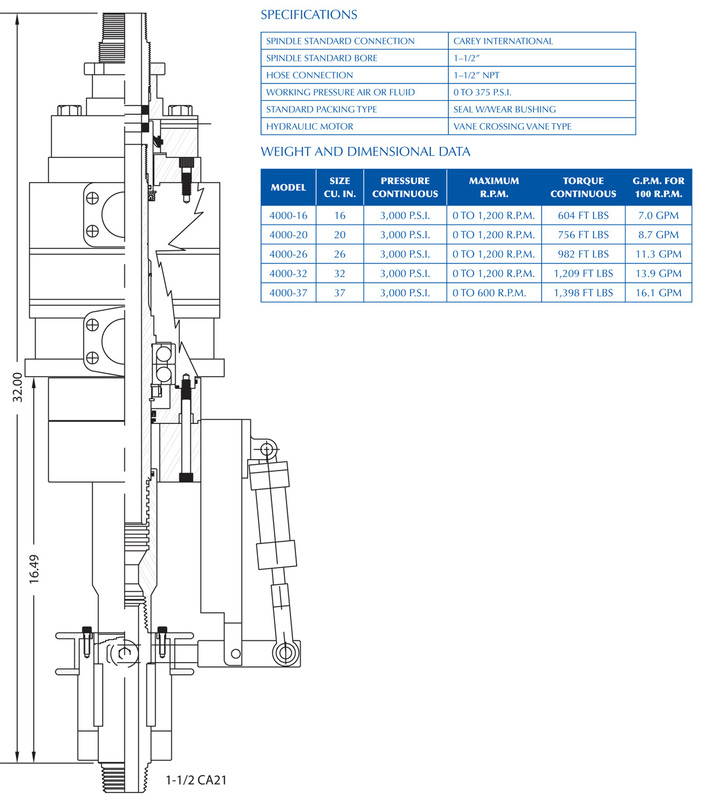 Automatic Breakout available for flush or lug type drill pipe. Speed: 0 to 1,200 R.P.M. The packing type depends on the speed 600 R.P.M. on hydraulic motor with standard packing rings. Other bearing packages available for your application. 4000 Series Swivel with Rineer 37 Series Motor is standard.